Today when I could not buy a friend a $5 juice, $5 for freaking juice?!!! !, at Starbucks, I realized that I had once again reached the end of my cash reserves while finishing the last of the 3 Antarctica meditations. This happens to me whenever I edit. I am in such bliss I stop all business. In the case of Antarctica even more so. I simply stock up and food in the fridge and just edit, edit, edit in bliss. Happens when I screen write too. My usual routine after too much delay getting back to money-making, is a flurry of panicked calls to my wealthy backers. HELP! Not a pretty sight. But despite this insane way I operate, I manifest money quick when I set a mind to it. Most at one time being $162 million in just 6 months of fund raising to build a skyscraper in Chicago. But today I did something different. No desperate phone calls. 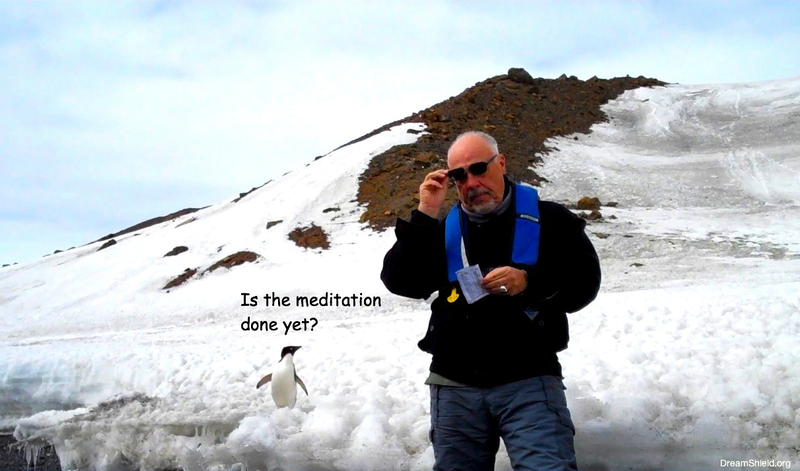 I’ve learned from the penguins I meditated with in Antarctica, to be cool. I was guided to meditate about making room for the new age abundance in my new life. Yep. When you reach the bottom of the barrel it’s simply time to clean the barrel. Rapidly, I began to scrape out old energies of all the stuff I’ve bought and squandered my life energies on. I began with the most wasteful, cars! Mercedes, Jaguar, BWM, SAAB, Mercedes, VW and Toyota tugged from my mouth up from my gut. When I close my eyes I can I can see it all as a huge pyramid of golden stuff, there’s even the skyscraper that was in me. No wonder there was no room for new lasting wealth. There is now. Watch out world this round the stuff I expend life energy on is going to be way different, travel, romance, learning, joy. Things to enrich me and the world not stuff Madison Avenue wants me to spend on to make them rich while the stuff all falls apart.